It's Simple! Below is an email we will send out, on YOUR behalf, to your friends. If you have any questions or need assistance, please call 1-800-283-7183 and we will be happy to assist. Please put each email address on a separate line. The information provided is for a member of our Florida office. Please visit www.passportamerica.com to refer your friends. Check out this great deal, 50% discounts off nightly rates at Campgrounds and RV Parks all across America. 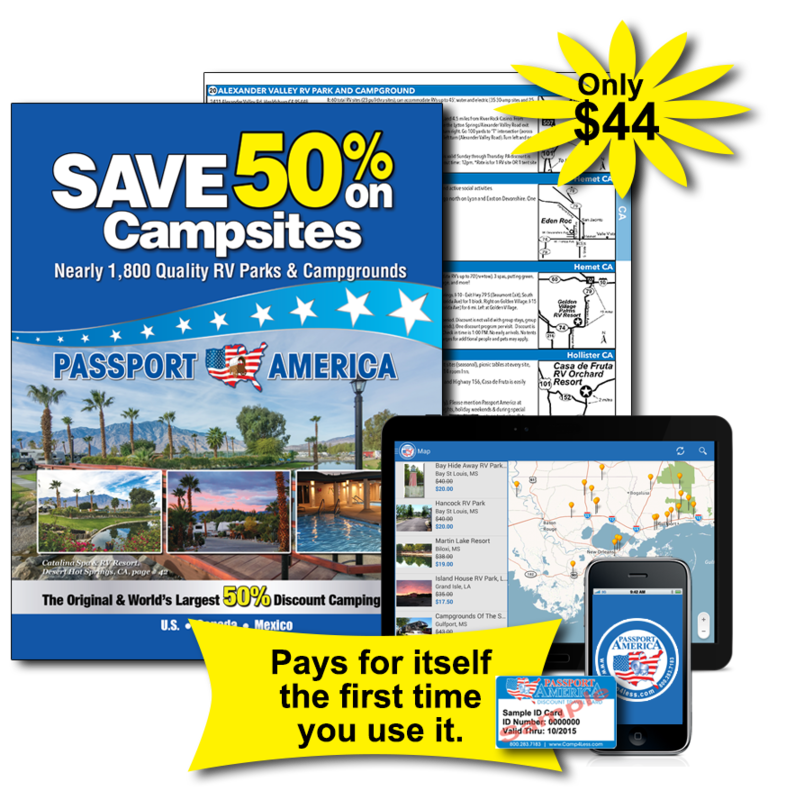 Passport America is The 'Original and World's Largest' 50% Discount Camping Club with over 1,800 quality RV Parks and campgrounds.